Nuby Bottle Brush with Soap Dispenser | Blue | Suction base leads uprights position which prevent from dust and germs. 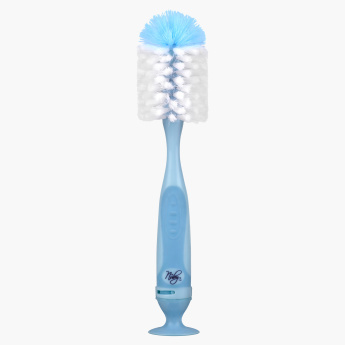 Get this bottle brush for easy cleaning of your baby's feeding bottle. 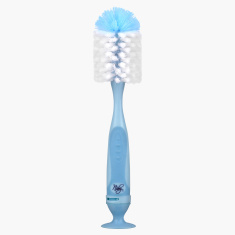 It has an easy grip on the handle to hold the brush firmly while cleansing the bottle. The long length of the handle helps in reaching the bottom of the bottle with ease. Feature 1 : Suction base leads uprights position which prevent from dust and germs. Feature 3 : Extra long handles for easy use on deep narrow bottle. Feature 2 : Easy grip design.